Like his legendary counterpart, he was born and grew up in New York City, learning to play the guitar at age 14. 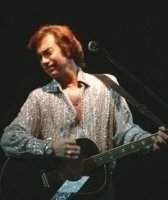 In 1995 Rob made the decision to take his career in a new dimension by bringing the “live” performances of Neil Diamond to the stage. 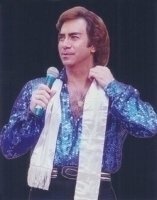 He was hired to portray Neil Diamond in the “Legends In Concert” show in Honolulu, Hawaii , that city’ s biggest theatrical show and most popular “impersonation” type show in the world. His portrayal of Neil leans towards the 1976-1981 era because of the obvious age difference. “I figure the only advantage I have over him is that he can’t be that Neil anymore”. What was to be a two-month “trial” engagement for him, turned into 3 years. 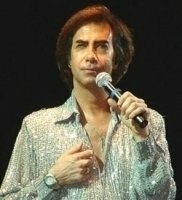 ” I love the challenge of re-creating the performances of this great musical legend who I hope still has many years of performances left in him.” In 1998 he decided to return home to Las Vegas where he continued to perform as “Neil Diamond” for Legends in Concert and similar shows. 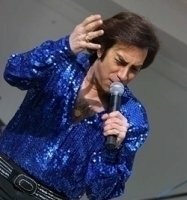 He has become known across the country as the “King of Diamonds”. 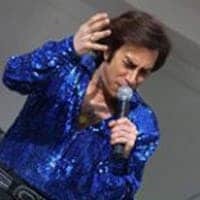 He has also performed his one man “Neil” show in countless venues across the nation.In July 2000, while he was performing for a cruise line, legendary drummer, Ron Tutt (Neil Diamond’s drummer since 1981, and Elvis Presley’s drummerfrom 1969 – 1977), caught his act while vacationing with his wife.He was praised by the Tutt’s for his ability to recreate Neil’s act and was told,“You have got him down!” On New Years Eve 2001, He was asked to open (as “Neil) for Frankie Valli & the Four Seasons in the Riviera Hotel/Casino Convention Center. 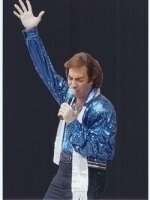 He performed to rave reviews in front of 4000 paying customers. 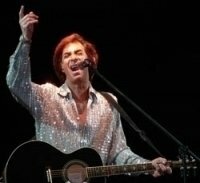 Neil Diamond impersonator, Neil diamond tribute artist.